I just got this guy in from Amazon and I thought I’d show everyone what came inside! The Funkos are a waste. Even if I did like Funkos they’re disappointing since they don’t even resemble the iconic art style of the show. I’d rather they weren’t included and have the set be $5 cheaper. Finally the discs themselves. They’re in an attractive book, which is probably my favorite style of holder for a set like this. 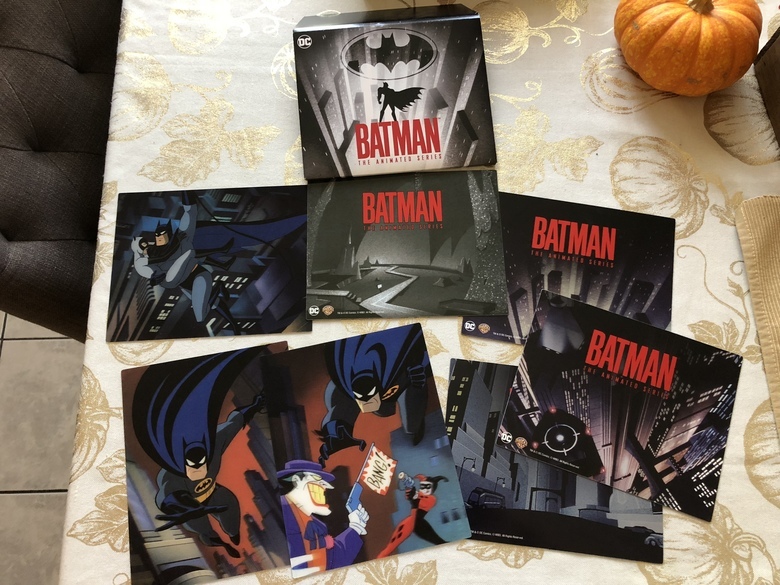 The series itself is spread across 9 discs and includes the original Animated Series/Adventures of Batman & Robin as well as the New Batman Adventures (when the art direction took a radical change after the Superman Animated series debuted, though none of the art from this era is used on any of the packaging). These discs all reproduce the features and commentaries from the original dvds. 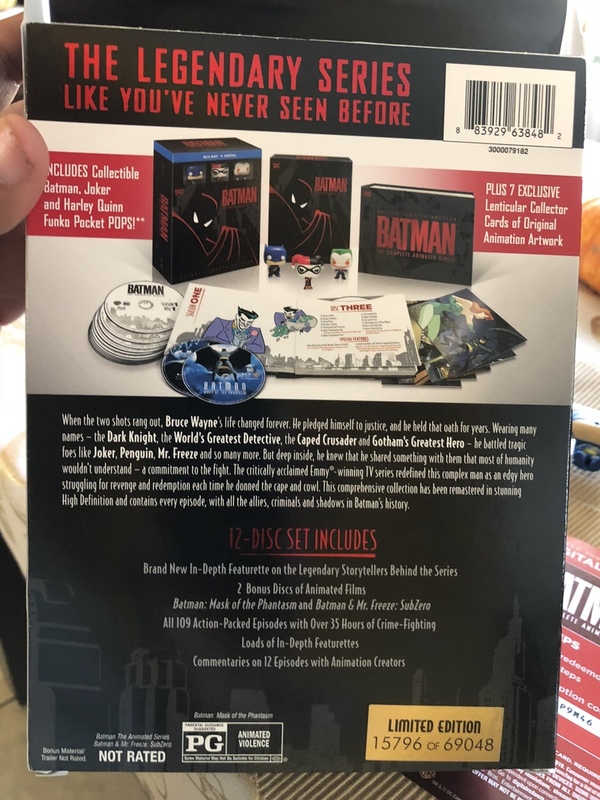 New Special Features are included on disc 10 and comprise of a featurwtte on the show’s creators and another with Paul Dini discussing Harley Quinn. 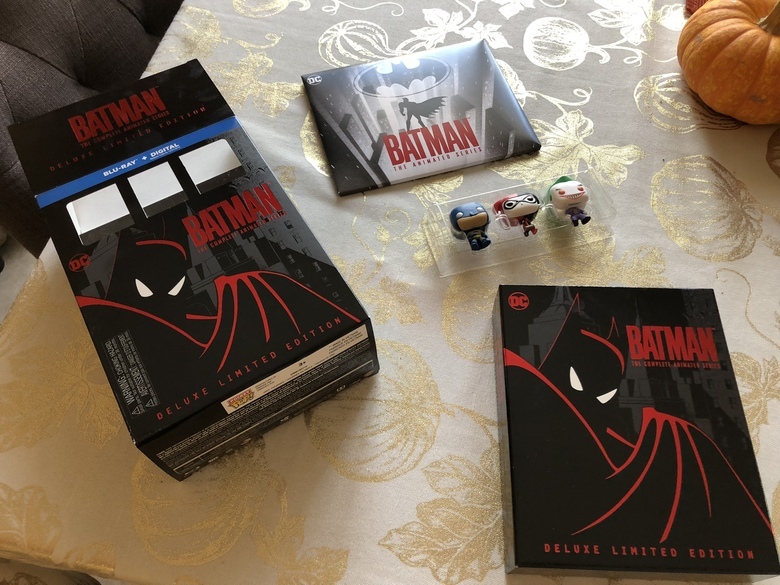 The last two discs are the previously available blu-Rays for the Mask of the Phantasm and SubZero animated films. 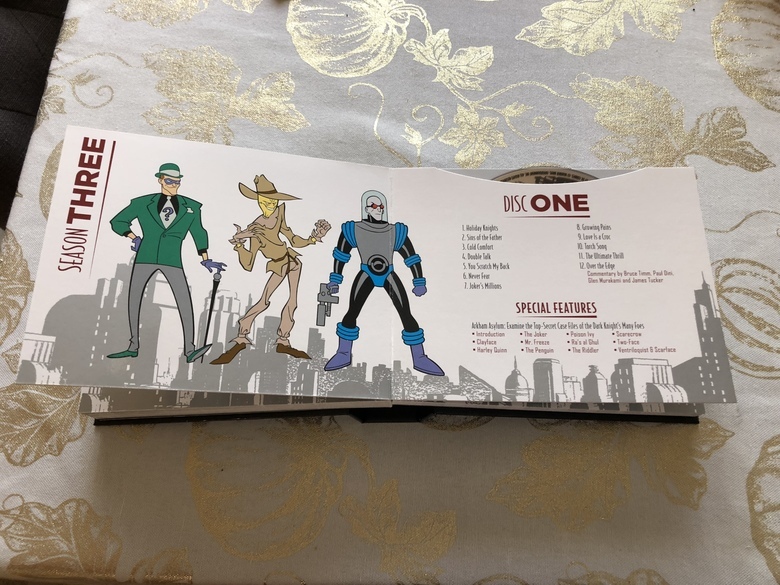 It’s a little funny that since SubZero was previously available, its special features include episodes of the animated series available elsewhere in the set (plus an episode of Batman Beyond). It’s a shame they didn’t include all the movies (likely because they’re not yet available on blu ray). It’s understandable why Return of the Joker wasn’t included since it’s technically a Batman Beyond film butI would’ve loved to see World’s Finest and Mystery of the Batwoman included. The final item included is a code to redeem a digital copy of the tv series, but not the movies, in standard definition. Overall, it’s a lovely set. Whether it’s worth the current $112 asking price is up to you. 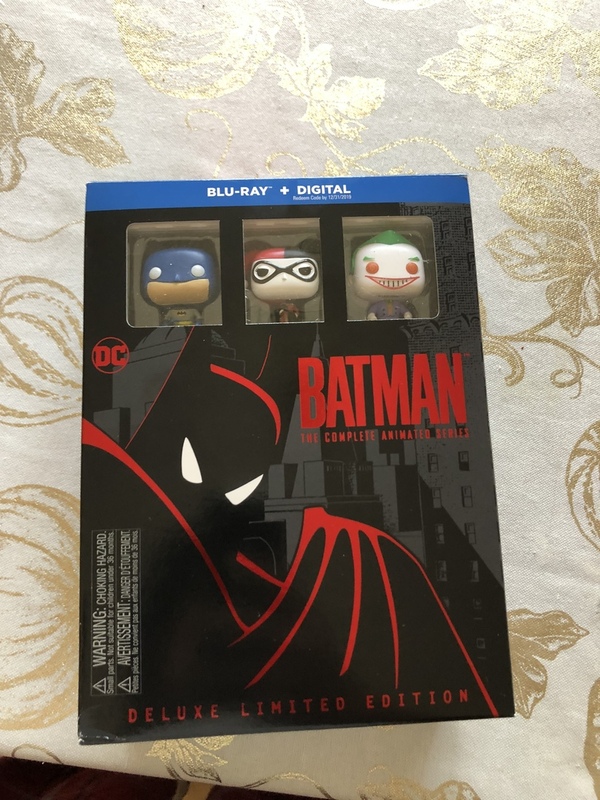 I would’ve preferred they do away with the cards and the funkos and invest in more new bonus features or include the two missing movies. If you already own the previous sets, there isn’t a ton of new material here. If you don’t, then it’s a great way to get the whole series in one go. Given the significantly increased print run, I can see this being available a bit cheaper if you are willing to wait. Ordered this too! What type of digital copy does it include? iTunes? Are the actual episodes cleaned up? It’s hard to find an official source right now but I kept hearing that they did a 2K scan of the original film elements. 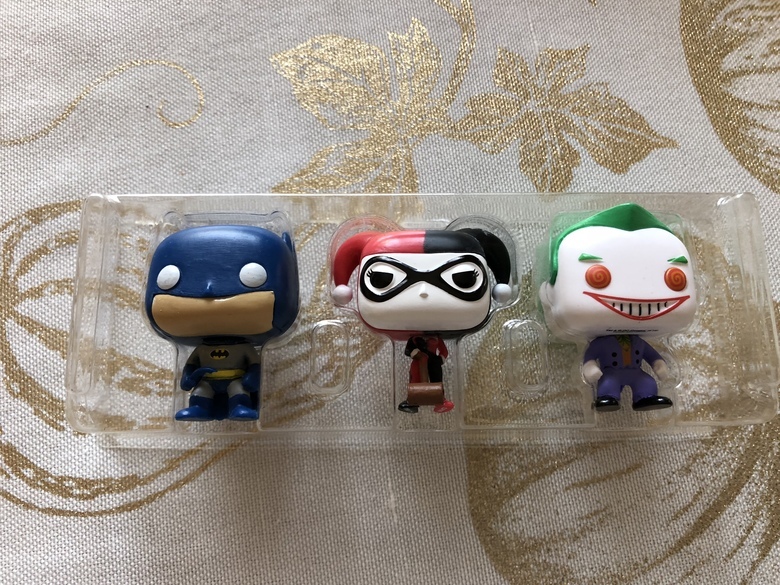 would pay you 5 for the pops! 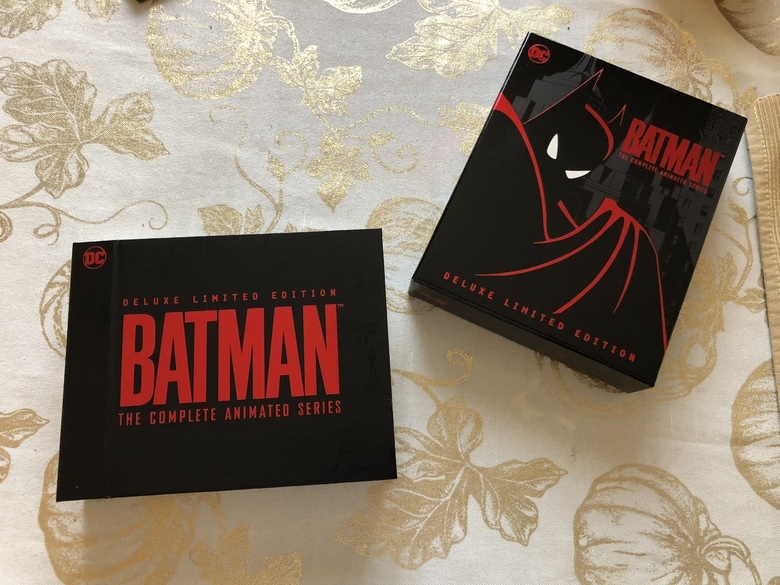 I made a small comparison of the first 3 episodes to my old dvd box sets. The episodes look sharper with stronger color and better blacks. The audio upgrade is nice too. The voices are cleaner and the low end seems a bit more pronounced for explosions and with the soundtrack.